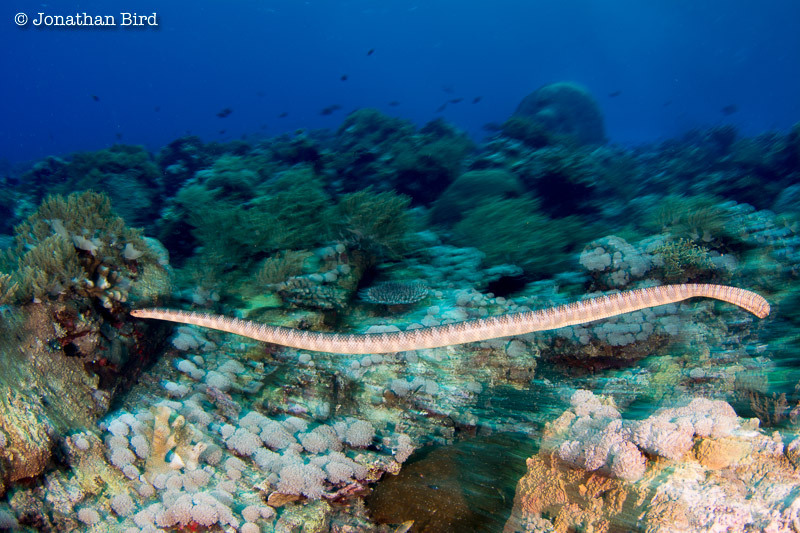 Snakes at “Bird” Island: An Adventure in Indonesia! Posted by Jonathan Bird on Wednesday, April 24, 2013. Kerry and I have just returned from an exciting shoot in Indonesia where we filmed a segment about an incredibly remote island called Manuk Island (which coincidentally means "Bird Island"). Why Manuk? Because Manuk is famous for its massive numbers of sea snakes, and I thought it would make a fun segment! The only down side is getting there. You see, it's more than 100 miles out in the middle of nowhere from the Banda Islands, which are already out in the middle of nowhere. 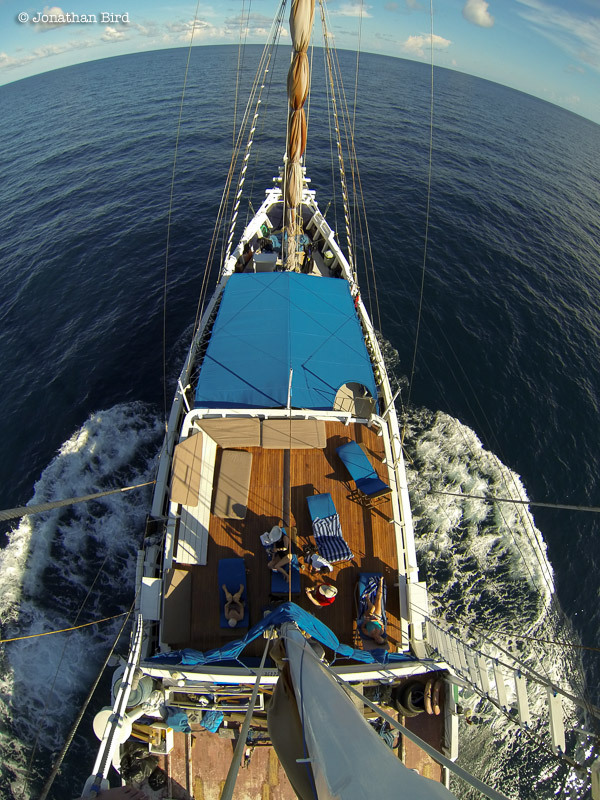 So it takes a live-aboard dive boat and several days sailing to reach Manuk Island. I chartered the MSY Seahorse dive boat, a boat I also chartered back in 2009 for our segment on bottom-dwelling sharks in Raja Ampat. I gathered a whole group of enthusiastic diver friends to share the boat, and off we went on a grand adventure on the high seas! We had no idea what to expect at Manuk Island. Would there be any snakes? Had I unwittingly led my friends to a boring destination? After several days flying to reach Sorong to board the boat, and several more days sailing (and diving) across Raja Ampat and on to the Banda Islands, we finally reached Manuk. As I prepared to roll off the boat into the water, I was nervous, hoping there would be sea snakes. Well, let's just say that I was not disappointed. As soon as I hit the water, I found snakes all around me! There weren't just a lot of snakes. The snakes were curious and often swam right up to look at me, swimming between my legs and around my arms. 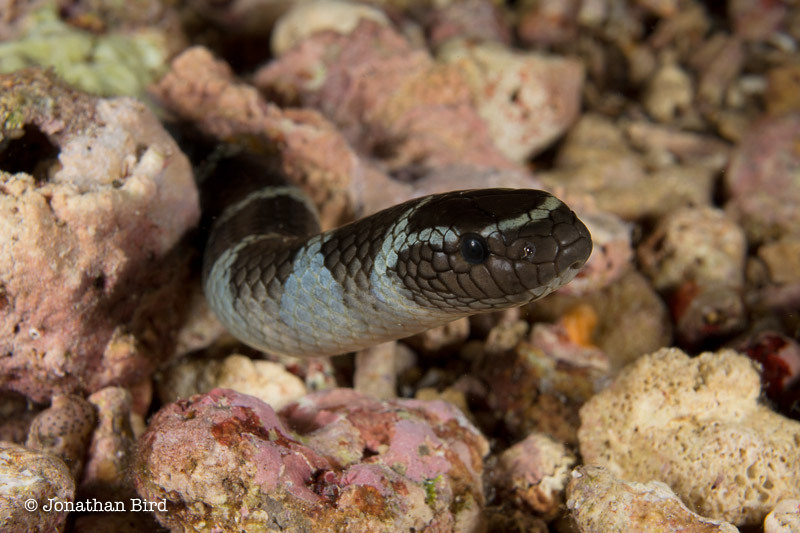 But as I have always experienced with sea snakes, they were completely docile and merely curious. 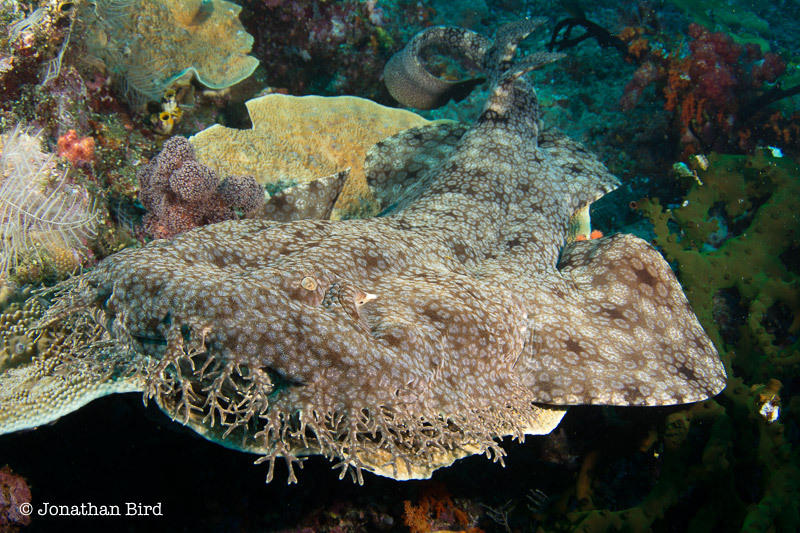 We had hoped to film a specific feeding behavior where the snakes cooperate with large fish to corner smaller fish in the reef and eat them. While we saw the snakes following the larger fish in what looked like pre-feeding behavior, we did not succeed in filming this unusual cooperative feeding. 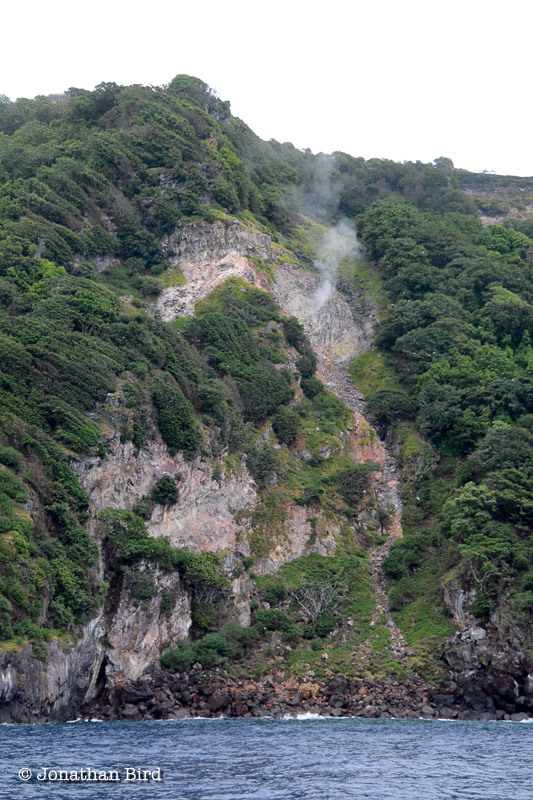 However, the beautiful reef, strange volcanic gasses being released underwater from the active volcano and zillions of sea snakes certainly provided enough material for an exciting Blue World adventure. In fact, there is so much footage to go through, it's almost overwhelming. We spent 2 days filming at Manuk before heading on to some other spots on what ended up being a 1,200 mile trip across Indonesia from Sorong to Alor. 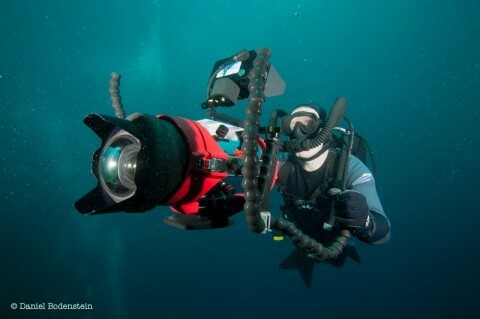 We saw and filmed some incredible pristine reefs. One of them was so beautiful that it literally brought a tear to my eye. After the dive I asked Cici, the boat manager and our divemaster if it had a name. She said no, they just call it the reef on the north side of Nyata. 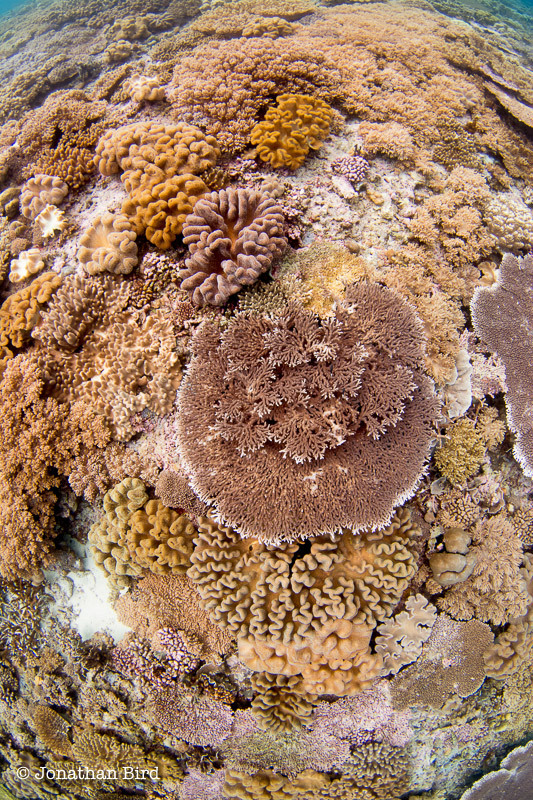 I named it "Elise's Reef" after my daughter (because she is so beautiful too!) Now I have to take Elise back there when she gets certified. I'm looking forward to it already! 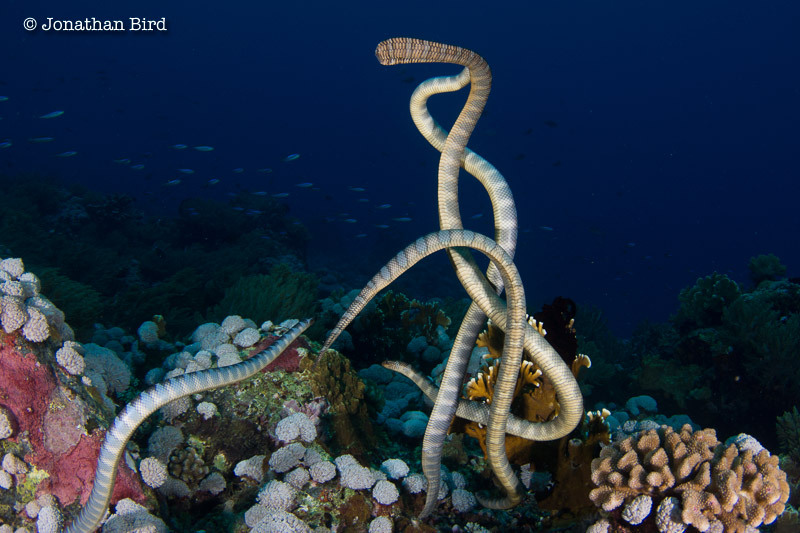 Photo Gallery: Snakes at “Bird” Island: An Adventure in Indonesia!